Could it be a bird? Could it be a plane? Well, not really! It’s Risk Online Casino's new mascot, Captain Risk. The site has a superhero theme that might seem cheesy, but it helps draw in players to what the mascot Captain Rizk symbolizes which is s combination of customer transparency, an opportunity for real rewards and no chaff all wrapped up in its games. 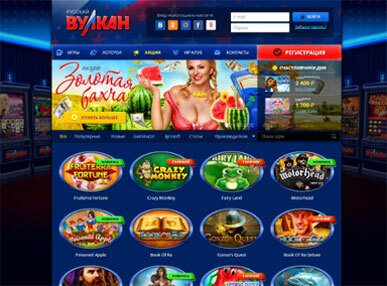 Rizk Casino provides a responsive and fluid design, which means the site is compatible with whatever device being used and it’s browser’s size. This online casino is relatively new having been set up in 2016. However, its players can be assured that its games have been developed by stalwarts of the gaming software developing industry. This site has numerous titles on offer from developers like Net Entertainment, Betsoft, Microgaming, Quickspin, Play N Go, NextGen, Yggdrasil, and Rabcat. With these numerous links, players are sure to be the ones to benefit. Players at this casino can be sure of being treated to a large catalog of games, with more than 350 titles in the offer. Like most online casinos, the bulk of these games are video slots, and they include the most recent 3D games like Glorious Empire, Cirque du Soleil: Kooza and Warlords: Crystal of Power. Alongside those slots, Rizk Casino offers a number of progressive jackpots, with about 20 of them on offer including renowned titles such as Hall of God’s and Mega Moolah. The bulk of available games at this casino can be played for free, with no need to sign up using an email address or name. This means players can try out the casino without any login details to check if it is a good fit for their gaming requirements. There is one exception when it comes to free chips, and that’s the live casino, as players are required to have an opened account and membership. The NetEnt Live and Evolution Gaming powered section, provides ten amazing live games such as Roulette, Three Card Poker, and Blackjack. Rizk Casino was created with a focus on players, and that’s why Captain Risk created the Wheel of Rizk. When players engage in gameplay at the site, the Rizk Power Bar fills up. For every time the Power Bar is totally filled, players get the chance to spin for prizes on the Wheel. The prices range from super spins, Free Spins, jackpots, raffle tickets or even real cash rewards. Every one of the rewards is free and don't have to be used at the online casino. The jackpot prize is about €500. Once the Wheel of Rizk has been spun, players can, on the next day spin a copy of the wheel card the Extra Wheel. Another bonus at Rizk Casino is a monthly challenge called the Rizk Race. This bonus works by scoring players on the leaderboard based on the duration of their gameplay and a player having the largest accrued points by the weekend wins. The reward pool increases every month and the top 250 ranked players win cash prizes, while those ranked 251 to 890 receive free spins and the remainder down to 1250 earn double speed chips or cashback chips. Since it’s inception in 2016 Rizk Casino has grown, thanks in part to its numerous promos and bonuses as well as it’s quality games from numerous top gaming software developers. It provides a large array of games with clear and easy navigation, however, s black mark on the casino symbolizes its lack of communication methods.